Livestock are a key part of the solution to Africa’s food security challenge. The International Livestock Research Institute (ILRI), CGIAR and partners are organizing a side event at this year’s Africa Agriculture Science Week (AASW) in Accra. The side event takes place on 15 July (from 09:00am) in Executive room 4 of the Accra International Conference Centre. It provides an opportunity to discuss how ILRI and partners support livestock sector research and development through a strategy that works in partnerships to inform practice, take livestock science solutions to scale, influence decision making and develop livestock capacities. Last week, we interviewed International Livestock Research Institute (ILRI) director general Jimmy Smith on his first eight months in office. In the first video interview below, he comments on some emerging ‘big issues’ in ILRI’s new strategy. One is that we need to pay far more attention to the wider global debate on livestock; we also need a clear focus on ‘consumption’ and ‘consumers’, as well as climate change and livestock’s environmental footprint [more on ILRI’s ongoing strategy development process]. In the second video below, he comments on global perceptions that livestock are not good for the planet—and what this means for ILRI. He argues that ‘evidence’ is at the heart of ILRI’s contribution. We need better evidence of where livestock contributes positively and negatively, and we need to communicate this. [ILRI’s 2010 annual meeting was on the theme ‘livestock goods and bads.’ In April 2012, a global alliance on sustainable livestock was formed.]. Earlier this month, International Livestock Research Institute (ILRI) director general Jimmy Smith announced a number of organizational changes. We share these here for the benefit of people we work with outside ILRI. The ‘Enhancing Markets Theme’ has been renamed ‘Markets, Gender and Livelihoods’ (MGL) and now incorporates the ‘Poverty, Gender and Impact’ group led by Jemimah Njuki. Steve Staal continues to serve as director of this theme. From 23 January 2012, Iain Wright moves to the ILRI campus in Addis Ababa to serve as director of the ‘People Livestock and Environment‘ (PLE) Theme. 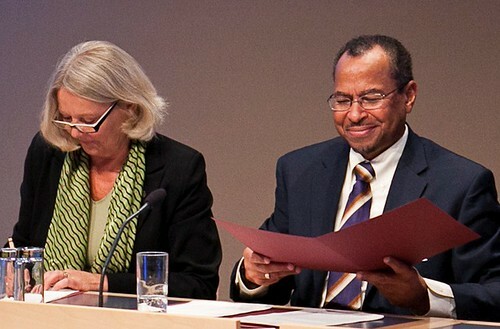 Iain will also become the director general’s representative in Ethiopia. The PLE Theme now incorporates the ‘Sustainable Livestock Futures’ group led by Mario Herrero. ILRI’s ‘Biotechnology‘ Theme continues under the leadership of Vish Nene; the Biosciences eastern and central Africa (BecA) Hub is led by Segenet Kelemu. Both Jemimah’s and Mario’s groups will continue to provide leadership at the institutional level with respect to work on gender and sustainable futures respectively. With the departure of John McDermott to lead the CGIAR Research Program on Agriculture for Improved Nutrition and Health (CRP4), we are recruiting a new deputy director general-research (DDG). Steve Staal serves as interim DDG. From 6 February 2012, Shirley Tarawali assumes the new position of director of institutional planning. She will move from Addis Ababa, Ethiopia, to Nairobi, Kenya. Earlier in 2011, the ICT team under Ian Moore moved from Partnerships and Communications into Corporate Services, reporting to Martin van Weerdenburg. Depending on the current level of ILRI engagement/responsibility in different CRPs, ILRI staff members have been assigned different roles: ‘Director’, ‘Programme Manager’ or ‘CRP Coordinator’. CRP: Livestock and fish -The CRP director is Tom Randolph. CRP: Agriculture, health and nutrition – The program manager for component 4.3 (which ILRI leads) is Delia Grace. CRP: Climate change – The program manager responsible for leading and coordinating ILRI aspects is Mario Herrero. CRP: Drylands – The ILRI coordinator is Polly Ericksen. CRP: Humid tropics – The ILRI coordinator is Alan Duncan. CRP: Policies, institutions and markets – The ILRI coordinator is Derek Baker. CRP: Water, land and ecosystems – The ILRI coordinator is Jan de Leeuw. Under the leadership of Shirley Tarawali, a process to develop a ‘refresh’ of ILRI’s strategic plan has been initiated. We aim to have a final document for approval by our board of trustees in November 2012. On 9 and 10 November 2011, the International Livestock Research Institute (ILRI) Board of Trustees hosted a 2-day ‘liveSTOCK Exchange’ in Addis Ababa to discuss and reflect on livestock research for development. It was designed to contribute to the development of ILRI’s strategy in 2012 (see the current strategy). 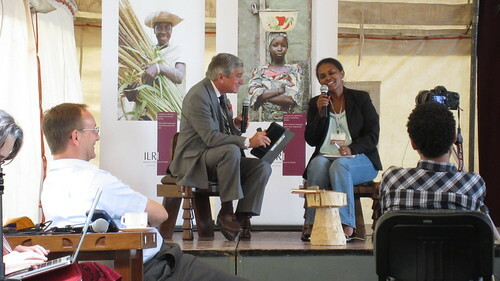 The event brought together about 130 participants from ILRI as well as from research and development partners. Besides the rich discussions, what else came out from the event? We prepared 19 short issue briefs synthesizing our work in the various areas. Some 30 short reflections and think pieces were also contributed by staff, partners and former staff. These are all accessible on the ILRI Clippings blog – also in ‘PDF format’ in our repository. Interview with Carlos Seré, former Director General of the International Livestock Research Institute. 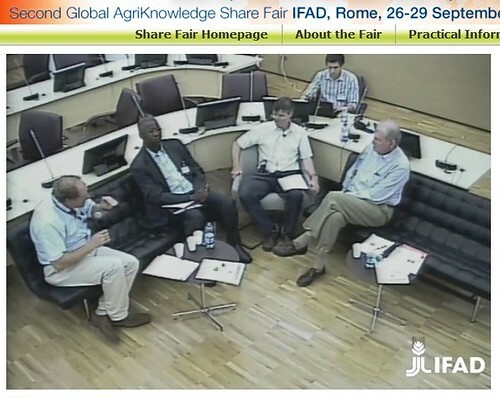 Interview with Jimmy Smith, Director of the International Livestock Research Institute (ILRI). Interview with Segenet Kelemu, Director of the Biosciences eastern and central Africa (BecA) Hub. Students and teachers of biometrics and applied statistics in agriculture and livestock have long faced a shortage of case studies and datasets suited to African settings. 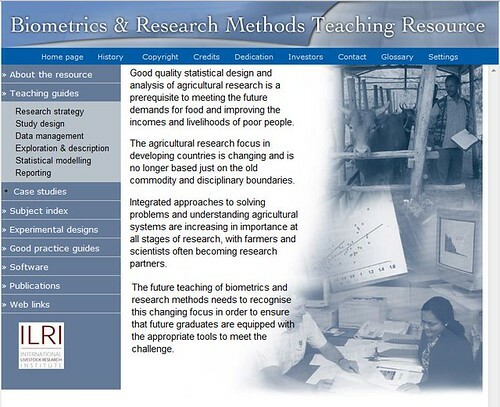 Version 2 of the Biometrics and Research Methods Teaching Resource provides 17 case studies (each with its own Excel data sets) prepared by students, lecturers and researchers at the University of Nairobi, University of Swaziland, University of Kwazulu-Natal, Islamic University of Uganda and ILRI). Study design (planning the study; accounting for variation; sampling; designing an experiment; designing a survey). Data exploration (looking at data; describing data; formulating statistical models). Data analysis (modelling data; handling variation; applying different statistical techniques – analysis of variance, regression analysis, general linear models). Reporting (interpreting and presenting results; communicating research results). Six teaching modules complement the cases and provide additional teaching and learning material of a practical nature. In this second version, users can be linked directly to subjects of interest. The presentation and description of data sets has improved and GenStat dialog boxes now appear within the case studies. The Teaching Resource relies on the statistical package GenStat (two case studies also demonstrate the use of R), which can readily be downloaded with a ’Discovery’ version free for not-for-profit users in sub-Saharan Africa. To make the resource more usable by teachers and students, this version will include both a zipped website version for those with intermittent internet connections so they can download the CD and separate pdf documents. The Teaching resource was funded by the Ford and Rockefeller Foundations. On Tuesday 27 September, the AgriKnowledge Share Fair session on ‘Livestock Research for Development: Shifting the Paradigm’ brought together ILRI Director General Carlos Seré, FAO Assistant Director General Modibo Traoré, and IFAD Senior Technical Advisor on Livestock and Farming Systems Antonio Rota to discuss major changes, innovations and achievements in livestock research for development in the last 5-10 years. The aim of ther session was to ‘tease out’ their views on 1) the major changes, innovations and achievements in livestock research for development – in the last 5-10 years; and 2) upcoming challenges and opportunities for sustainable livestock sector development, especially of smallholder livestock keepers. Responding to the question ‘What’s changing in the livestock sector’, Traoré answered “everything!” – but the most challenges face the smallest and poorest farmers – they are struggling to adapt to changes, to make money, and to benefit from positive trends – such as growing demands for livestock products. How we ensure that we grasp the opportunities offered by these growing demands is controversial, according to Seré. Should we invest in smallholders or go for large scale more commercial operations? He argued that smallholders particularly depend much more on communal action and public sector support so we need to decide Where public knowledge will make the most difference for smallholders. Where do we have the best chances to bring people out of poverty through livestock? What will happen to the small livestock keepers when the market changes? Will they disappear? According to Seré, the future in some areas is a transition [from small to large scale]; in others, smallholder ssytems are more sustainable. Indeed, smallholder livestock “can be very competitive” in some areas or situations. Rota continued the focus on ‘smallness’ arguing that small livestock are ‘the’ livestock of the poorest. He said that the ere of ‘blanket solutions’ for livestock is over: We have to design projects responding to real needs, projects thast much better target specific needs, services, markets and people. Traoré concurred that the focus of public investment in livestock development should be on small farming systems, but he cautioned that smallholders and small-scale farming don’t just need small animals; a cow is as much an asset as smaller sheep or goats. Seré suggested that livestock research as we know it struggles to meet the smallest scale. Nevertheless, we’ need to keep the focus of our investments on small farmers … as nobody else is interested in them. A major challenge is to bring research much closer to the clients. Innovation systems that bring in many different actors, also farmers, are important to help us connect to communities. We still need technologies, but if we want them to make a difference we need to expand what research does, encompassing institutional issues, knowledge, and capacities. For development impact, research needs to be much more than just technologies, vaccines and the like. Rota further argued that the livestock chosen for research are also important. As a development agency, IFAD helps to catalyze research around promising ‘orphan’ animals (from a developemnt research perspective) – like poultry, camels, or guinea pigs – that offer much to smallholders but which are hardly researched and supported. A major weakness in our approach, accoridng to Seré is that we have not been able to scale out promising livestock research results. It seems to be much more difficult and complex to design and scale livestock interventions than it is for crops. Innovation systems thinking is again important here as it helps us gain a better understanding of the whole picture. For Traoré, what is wrong in our approach is not that we have been unable to make many improvements … the problem is that some people see small farming systems as a transition phase only, not something where improvements should be scaled and continued. In his view, small-scale systems will remain and will continue to provide livelihoods for millions of people. What’s the key factor determining the adoption of livestock technologies? Seré explained that research often does have the solutions and the technologies, but at different times, and for moving targets. If the incentives are right, technologies will get adopted. There is also a good reason why some technologies are [still] on the shelf … they will be needed in the future! Rota added that technologies will be adopted when we put more money in the pockets of the farmers. Why is the livestock sector not better-funded? Is it because the image of livestock in developed countries is rather negative (methane emissins etc) – and how do we counter this? Traoré commented that the image of livestock in the north is not the same as livestock in the south. We need to convert northern views to see that livestock [in the south] are goods whose development needs to be supported. This is a communication problem that we all need to work on. Rota further argued that if we want the donors to fund livestock, then we need to have and to present convincing numbers, data and evidencee that show how livestock really do bring people out of poverty. At this time, “we dont have the data” we need. Livestock on farms are integrated, how do we ensure that crops and livestock are integrated in development projects and in research? According to Seré: we need to make sure that assessments of crops (returns, beenfits etc) also take account of the livestock dimensions. How do farmers get the best advice and information, for instance on the ‘right’ types of cows for their situations? Seré emphasized the important commercial drivers determining what cows (or other technologies) are provided to farmers; it is thus difficult to provide quick clear-cut answers to this question. Today, the ‘Improving Productivity and Market Success (IPMS) of Ethiopian Farmers Project’ holds an experience-sharing workshop on market-oriented smallholder development. 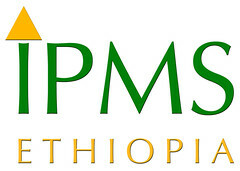 This project – www.ipms-ethiopia.org – is funded by the Canadian International Development Agency (CIDA) as a contribution to the Ethiopian Government’s ‘Plan for Accelerated and Sustained Development to End Poverty’. At its establishment in 2005, The project was designed to follow a participatory market-oriented commodity value chain development approach. This is based on the premise that technology uptake is significantly influenced by the profitability of production, and that production is driven by market demands for specific commodities. The approach is participatory in that it involves farmers and other value chain actors as well as associated service providers in diagnosis, planning and implementation of the interventions through formal and informal linkages. The workshop is designed to facilitate experience-sharing – the 150+ participants are drawn from national, regional and district governments, the private sector, civil society, research institutions and universities, and development agencies. It focuses on specific commodity value chain interventions – livestock and crops – as well as essential enabling methods, approaches, and processes the project has applied. Exhibition-type displays showcase interventions on specific commodity value chains. Cross-cutting issues such as knowledge management, capacity development, and gender, are also explored. After five years intense applied work, the workshop also provides an opportunity for project lessonsa nd outputs to be shared with the Government’s new Growth and Transformation Plan (GTP) that re-emphasizes the role of smallholders in the commercialization of Ethiopian agriculture. In March this year, we asked Ian Scoones, Science Adviser to ILRI, to reflect on the recent conference on the future of pastoralism and the work of ILRI in this area. He identifies two promising areas for ILRI: First, to engage in technical research on production issues in pastoral areas and pastoral systems – to sustain the enormous economic potential of such areas. Second, to support the broader area of innovation. As pastoral systems change and evolve, there is enormous innovation in these systems themselves, he gives an example from camel markets in northern Kenya. 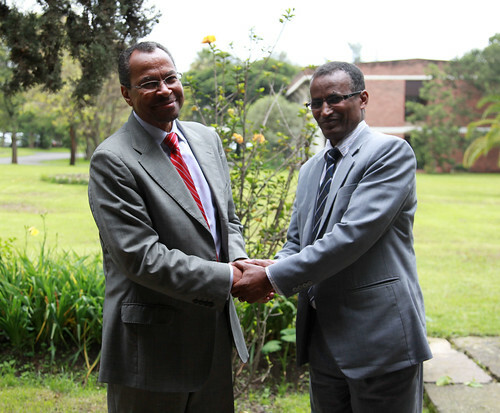 The Addis Ababa conference on the future of pastoralism in Africa (21-23 March 2011) was organized by the Future Agricultures Consortium with Tufts University. Or visit the Future Agricultures Consortium conference page or blog. This week, partners in the ‘imGoats’ project meet in India to finalize plans and outcomes for the project. 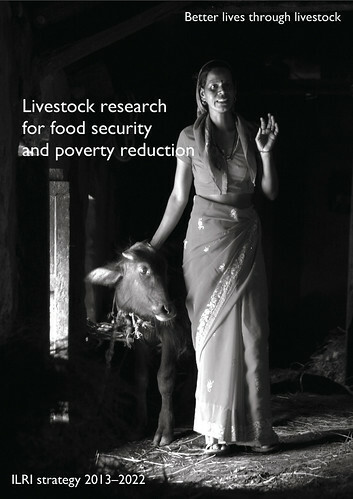 The project – official title ‘Small ruminant value chains to reduce poverty and increase food security in India and Mozambique’ – is funded by the International Fund for Agricultural Development (IFAD) and is implemented by the International Livestock Research Institute with CARE (Mozambique) and The BAIF Development Research Foundation (India). 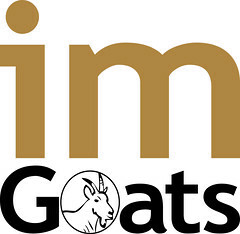 The project aims to transform goat production and marketing in dryland India and Mozambique from an ad hoc, risky informal activity to a sound and profitable enterprise and model that taps into a growing market. In December 2010, a special issue of Animal Nutrition and Feed Technology focuses on the fodder quality of crop residues and how this can be improved through the close collaboration of crop and livestock scientists in multi-dimensional crop improvement programmes. Over the next two decades, rapid urbanization and rising incomes in the developing world will continue to feed an on-going livestock revolution. In India, this boom in the production of animal products will be driven by a demand for milk that is projected to increase by more than 80 million tons in 15 years. Smallholder livestock producers will have new opportunities to raise their incomes on the back of this increasing demand, particularly the vulnerable communities occupying dry, marginal and remote lands that rely most heavily on their animals. Feed scarcity and resulting high feed costs are one of the major constraints and threats to higher benefits from livestock otherwise offered by the rising demand for livestock products. New strategies for improving feed resources are urgently needed, but they need to take into account the increasing scarcity of the natural resource base, particularly of arable land and increasingly water. Crop residues are the single most important feed resource in India, and the national feed resource scenarios predict that their importance for livestock feeding will further increase. In several parts of India, weight for weight, crop residue prices are now approaching, and sometimes even exceeding, half the prices of their grains. Crop residues do not require specific land and water allocations, since these are required in any case for the production of grains. Unfortunately, the fodder quality of crop residues is often low, and in the past decades, efforts have been invested in upgrading the feeding value of crop residues (implicitly from cereals since leguminous residues can have excellent fodder quality) through chemical, physical and biological treatments. However, these approaches have seen little adoption by farming communities. A different paradigm has been developed in this this special issue of Animal Nutrition and Feed Technology, namely, the improvement of crop residues at source through close collaboration of crop and livestock scientists in multidimensional crop improvement programs. Until recently, fodder traits of crop residues were largely ignored in crop improvement, although farmers were traditionally aware of differences in the fodder quality of crop residues even within the same species. Farmers’ perception of crop residue fodder traits could effect the adoption of new cultivars, resulting sometimes in the rejection of new cultivars that have been improved only for grain yields. In response, the International Crops Research Institute for the Semi-Arid Tropics (ICRISAT) and the International Livestock Research Institute (ILRI) together with their partners from the Indian Council of Agricultural Research (ICAR) initiated several multidisciplinary research projects to create crop cultivars that better match the need of farmers, particularly in mixed crop-livestock systems which are dominant in many parts of the developing world. The fundamental issues explored in these collaborative projects, and expounded in this special issue, are: (1) availability of livestock nutritionally-significant cultivar-dependent variation in crop residue fodder quantity and quality; (2) relationships between crop residue fodder traits and primary food traits and possible trade-offs between the traits; (3) technologies for quick and inexpensive phenotyping of large set of samples for simple fodder quality that are well correlated with actual livestock productivity; (4) breeding techniques for further genetic enhancement towards food-feed traits; and (5) upgrading crop residue fodder in value chains through densification and fortification. These valuable contributions serve as eye-openers to researchers and present a strong case for further strengthening such collaborations between national and international crop and livestock institutions. More importantly, they pave the way for expanding work on the promising approach of producing dual-purpose varieties of key crops for mixed crop-livestock systems given that these systems will be crucial in feeding the next 3 billion people.